NOW RENTING!!! CALL OR EMAIL FOR MULTI-DAY RATES! 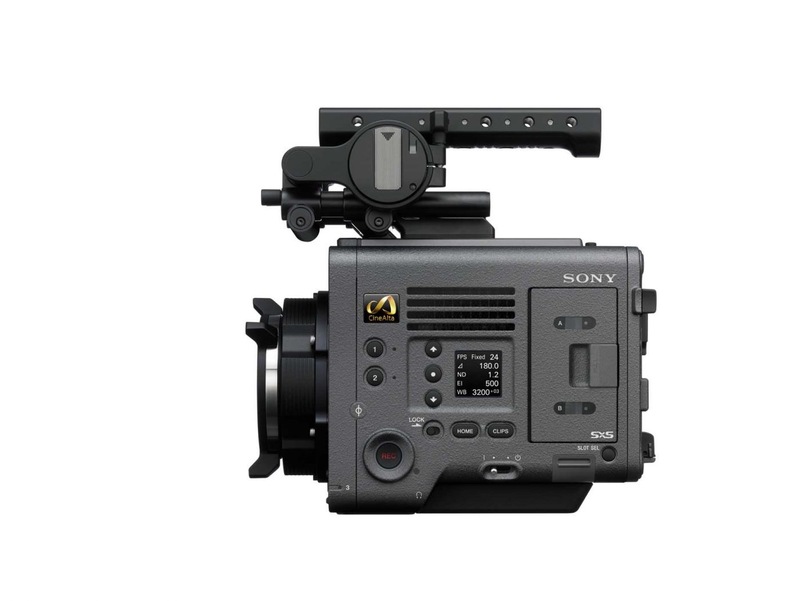 Click here to rent the Sony AXS R7 Recorder separately and here for downloadable Sony Venice flyer. Watch our lens test with the VENICE + Zeiss Supreme Primes. 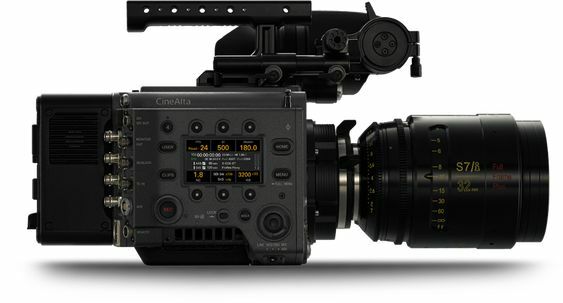 The Sony VENICE motion picture camera is a cinema camera created by and for the cinematographer. VENICE is equipped with a newly developed full-frame image sensor meeting the needs of the film industry in pushing the boundaries of large format image capture with exceptional picture quality. With the wide latitude and gamut recorded by the VENICE, freedom of expression is significantly expanded in grading and based on established workflow. Usability and reliability of the camera is one of the major concerns for operators especially in tough or time critical filming conditions. With a user friendly design, clear and simple menu navigation, and a highly durable, reliable construction, using VENICE you can simply concentrate on filming, and not the camera. In full-frame, you can use the full 6048 pixel width of the sensor for widescreen spherical 2.39:1 or Large Format Scope. Full-Frame can be used creatively in a number of ways – for example, to allow for extra shallow depth of field or super-wide shooting. For anamorphic shooting and production, Super35 full height 2x squeeze anamorphic is supported. These popular imager sizes are natively supported by VENICE. Current Super35mm PL mount lenses can be used. Jello effect is something that we don’t need when filming. VENICE has high speed readout sensor which minimizes the jello effect that are typical in the CMOS sensors. VENICE can exceed Rec. 2020 colour space. This means the colour range is wider than DCI-P3 and can beautifully reproduce the true colour of the scene in front of your lens. This also provides the broad palette in the grading suite using the established workflow of Sony’s third generation LOG gamma encoding (S-Log3), and Ultra-wide colour space. E-mount offers unsurpassed compatibility with Sony lenses. E-mount (lever lock type) gives users the ability to change lenses by rotating the locking collar rather than the lens itself, which means that in most cases lens support rigs don’t need to be removed, saves time during a production. VENICE’s support for anamorphic lenses combined with its ability to shoot 4:3 aspect ratio at a horizontal resolution of 4K allows the capture of breathtakingly beautiful images with stunning lens flare, bokeh and emotional impact. The stunning full 6K resolution of the camera can be recorded directly in X-OCN (16 bit Extended tonal range Original Camera Negative) file format. Also, XAVC 4K can be captured onto SxS cards while still sampling from the full 6K resolution of the sensor. VENICE’s chassis is engineered to be amazingly robust and has been rigorously tested in the harshest conditions. Its ventilation system is completely isolated from all electronic components to prevent ingress of dust, sand and splash. The silent-running fan can be cleaned or even swapped out on set quickly and easily. The DVF-EL200 was specifically created as the perfect partner for VENICE due to its exceptional performance and additional control features*. It has a 1920 x 1080-resolution OLED panel with exceptional high contrast, enabling precise, high resolution focusing and framing. Its all-new ergonomic design allows for tool-free attachment/detachment and reconfiguring within seconds. A rotary encoder provides instant access to brightness, peaking and contrast. The industry-standard LEMO connector offers exceptional durability. Sony is committed to extending the capability of VENICE with powerful system upgrades. VENICE offers complete production flexibility. 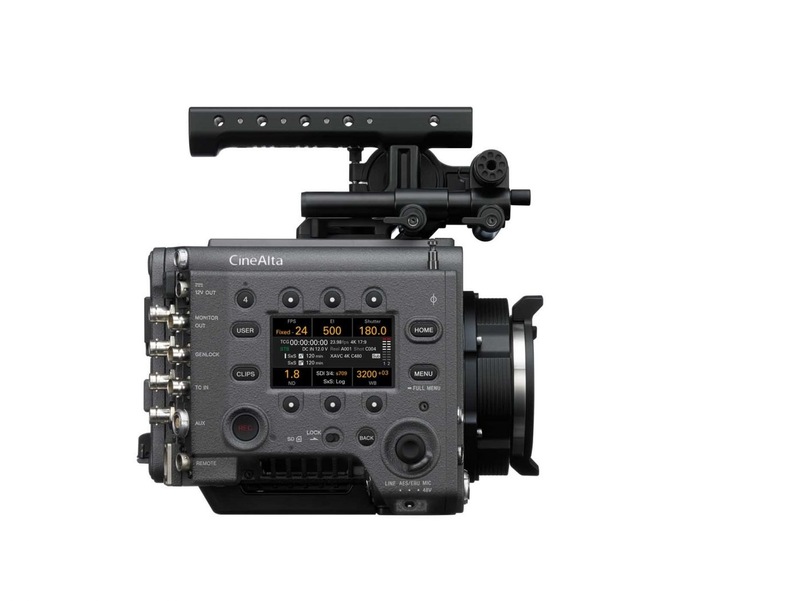 Internally, VENICE can support XAVC, ProRes or MPEG HD recording onto SxS memory card. Additionally, by using the AXS-R7 recorder, it can record 16 bit RAW or X-OCN (16-bit eXtended tonal range Original Camera Negative) onto AXS memory card. XAVC is the highest-performing implementation of H.264/AVC intra-frame coding. It supports 4K with superb efficiency and beautiful 10-bit pictures. Naturally, VENICE supports XAVC Class480, which is the highest bitrate and quality available. Apple ProRes including ProRes 422 proxy formats are popular in postproduction, and are supported by VENICE. This means there’s no need for transcoding; you can simply handle these formats directly from the camera. This ultimate 16-bit linear RAW format preserves all the information captured in 4K, with 16 times more tonal values than 12-bit RAW. Full 4K and 6K* resolution, with extraordinary colour reproduction, nicely suits Sony’s third generation colour development, S-Gamut 3. In particular, 16-bit scene linear tonal gradation retains the camera’s full dynamic range, with far greater capacity for visual expression than 10-bit or 12-bit digital formats. 16-bit X-OCN offers significant file size reduction, which make working with full resolution content from VENICE’s 6K sensor far more practical in terms of file transfer times and storage requirements. A key benefit of VENICE is simultaneous recording using two recording media. For example, a production could use RAW/X-OCN data recorded by AXS-R7 for online editing and also use XAVC, ProRes* or MPEG HD for offline editing without waiting for any file conversion. As VENICE can also record XAVC 4K and RAW / X-OCN* simultaneously, another option would be to use XAVC 4K for quick turnaround mainstream production while using simultaneously recording RAW / X-OCN as a future-proof archive suitable for the highest quality HDR applications. Even without using AXS-R7, VENICE itself can record XAVC 4K and ProRes 422 Proxy* simultaneously. VENICE is designed to support both the highest quality imagery and high speed workflows. Catalyst Browse and the RAW Viewer are free software downloads for colour grading and transcoding capabilities that work in close alignment with third-party colour grading applications and also with non-linear editing systems. Imaging Device Size: 36.2×24.1mm. 43.5mm (diagonal).